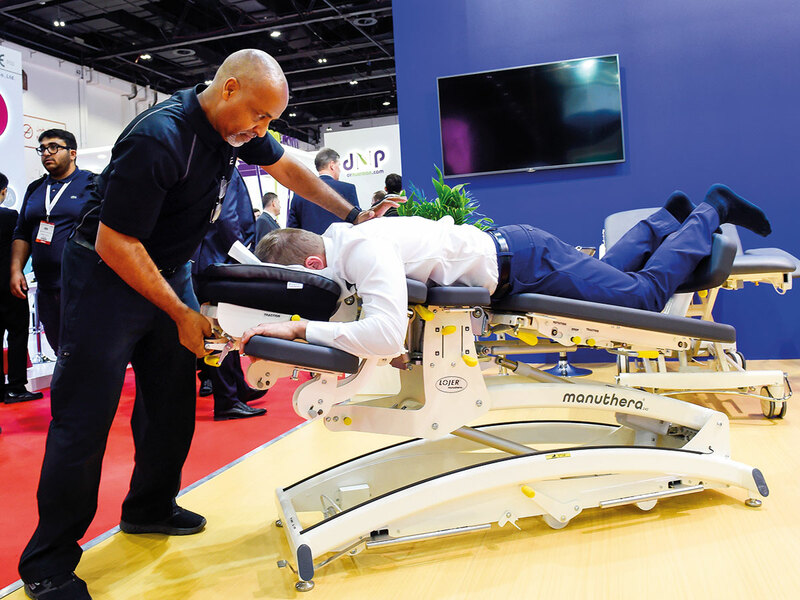 Dubai: An Artificial Intelligence based medical device that has a 96.5 per cent accuracy to avert potential strokes won the best pitch award at the Innov 8 talks on day one of the Arab Health forum at Dubai World Trade Centre on Monday. In the UAE an individual gets a stroke every hour and the average age for strokes is 45, which is far lower than the world average of 60 making stroke prevention an imminent issue. At the innovation talks symposium, eight delegates presented eight pitches in under eight minutes to the audience. The winning presenter was Bieke Van Gorp, the founder of Fibri Check, a Belgium-based company. In eight minutes Van Gorp revealed the principal behind the phone-based medical device that can, in 60 seconds, detect Atrial Fibrillation (AF) or irregular heart rhythms that indicate when the heart is out of sync, making the patient at risk of a stroke. AF is responsible for more than 20 per cent of strokes. This amounts to preventing nearly 350,000 strokes annually worldwide. In Belgium when 40,000 residents were provided access to Fibri Check, nearly 800 were detected with AF. The device has been certified by the European Medical Association and the US Food and Drug Administration (FDA), and has to be prescribed by a doctor. Once that is done, the Fibri Check access is provided to the patient who records his heart beats and the system records and verifies the data before transmitting to the doctor who is able to detect those having AF. The Fibri Check team too is able to detect AF and provide additional data to the doctors. “We charge €25 (Dh105) a month for the service provided on the phone,” said Van Gorp. Her device does visual detection of AF by looking at the fingertips and also measures mechanical activity of the heart to be able to deliver accurate AF data. “There are effective stroke prevention treatments, but detection of AF is so difficult that catching on the potential of a stroke early on through the machine can greatly reduce the incidence. 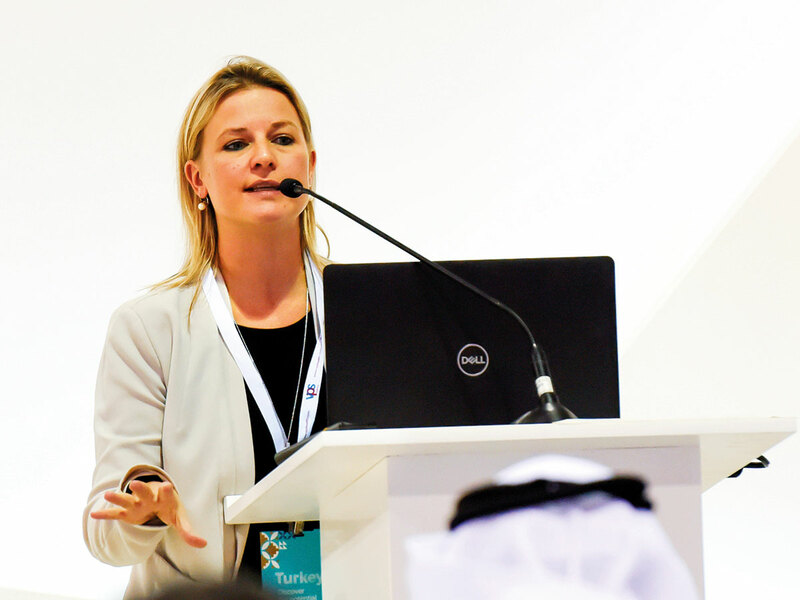 I am currently in talks with a few insurance companies in the UAE which have been actively considering coverage for their patients considering the high incidence of stroke in the UAE,” she added. Other noteworthy pitches made at the Innov 8 symposium include a sonar-based system to help the blind ‘see’ through ultrasonic technology, a bio ink printing initiative called Cell Ink that uses nano cellulose to print skin and other human tissues that can be used to regenerate organs, and a Virtual Reality-based technology to manufacture custom made insoles to resolve foot pain. 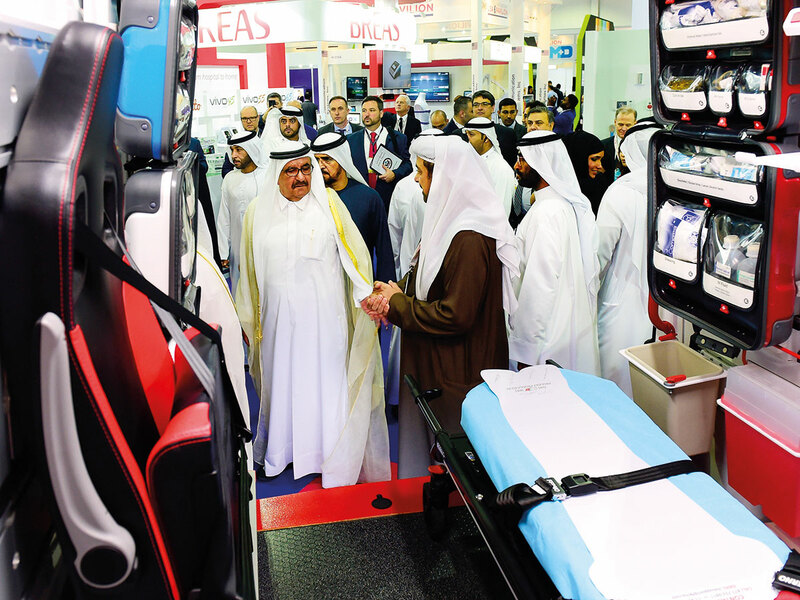 The Ministry of Health and Prevention has included an organ donation sign-up booth at the Arab Health forum, where visitors can register to donate their organs. There are eight organs that a human, who experiences brain death or clinical death, can donate. These include; lungs, liver, heart, kidney, eyes, pancreas, small intestine and tissues such as skin. Those with diseases such as diabetes or hypertension may not be able to donate particular organs, however, there is a likelihood of having more than one organ that a person can still donate. Dubai Health Authority has launched a smart home care facility for the elderly, disabled and widows, and will soon extend these facilities to the expatriate population. A smart home care kit is provided to the patient, which monitors all vital signs and blood reports into an electronic medical record system. If the patient needs to consult a doctor, a check up can be done remotely. After evaluating the case, a follow up can be done through a home visit.